The size of a fireplace hearth is determined by the homeowner or builder. There's no typical size, but there are recommended guidelines for safe fireplace operation and to prevent damage to areas in front of the fireplace. A fireplace hearth needs to be large enough to protect the surrounding area from heat and sparks. 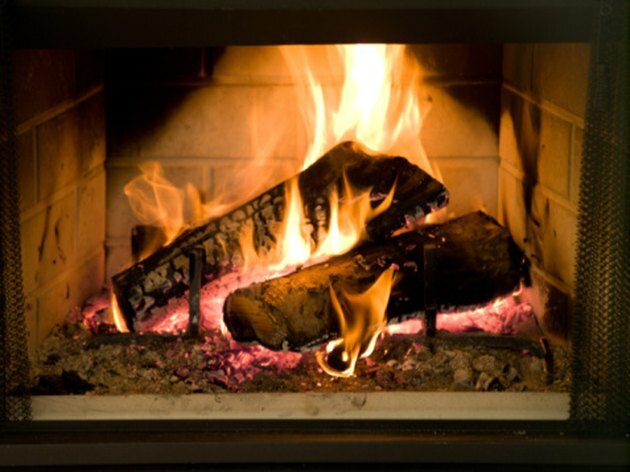 To keep fire, ashes and embers a safe distance from the floor in front of a fireplace that has an opening 6 square feet or smaller, the hearth should extend at least 16 inches in front of the fireplace opening. The hearth also needs to extend 8 inches to each side of the opening. The thickness of the hearth should be a minimum of 4 inches. Fireplaces with openings larger than 6 square feet demand larger hearths. The front of the hearth needs to extend to a minimum of 20 inches, and the side areas need to extend to 12 inches. The recommended thickness for larger fireplace hearths remains the same. Stone, brick, concrete, concrete blocks or other noncombustible materials are recommended for hearths. If the hearth is so heavy that it requires underlying supports, they too should be fireproof. 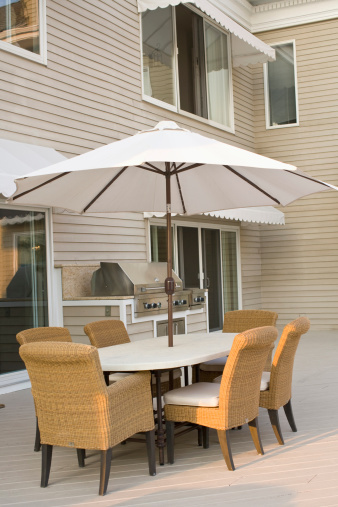 Do I Need a Permit to Pour a Concrete Patio?